Need a heating solution for your home? Our team provides the highest level of quality in furnace installations and replacements. Basset Heating & Air Conditioning of Colorado Springs specializes in residential air conditioner installation and replacement. YES! We also do some plumbing. Take a quick peek at our pluming services that we cover and if you ever need any help, make sure you remember us! When hiring an HVAC company Colorado Springs, you will want to be sure to do your research to find a reputable company that you can trust with your heating and cooling needs. Below, we will be going over some of the reasons we feel we are the best option. We have the amount of experience that you should be looking for when you are in the process of hiring an HVAC company. We understand what it takes to get the job done and we have handled every possible HVAC issue that has come up. Experience is key when it comes to solving HVAC problems and being able to spot issues that could become future problems. Don’t make the mistake of hiring an inexperienced HVAC company. We have one of the best reputations in the marketplace. We value our customer’s satisfaction and we do everything we possibly can to provide exceptional service each and every time. You should be looking at the company’s reputation prior to hiring and we pride ourselves on our spotless reputation. Whenever you are looking to hire someone to assist with HVAC installation, maintenance, or repair, you want to look for the right insurance for proper protection. 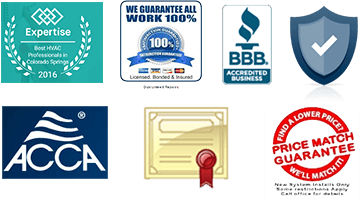 We are fully licensed and insured to provide you with the services you might need. Never hire an HVAC company without the proper insurance or licensing. Overall, here at Basset Heating & Air Conditioning Inc. we feel we offer the best value for the money when it comes to HVAC installation, maintenance, and repair. We look forward to providing you with exceptional service and making you the next on our long list of satisfied customers. Be sure to contact us today for more information on HVAC installation, maintenance, and/or repair. 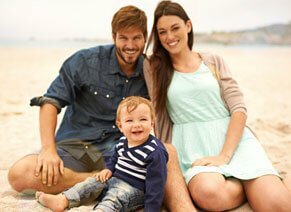 If you want to get help from a great heating and cooling Colorado Springs service, you should look into the services we provide. 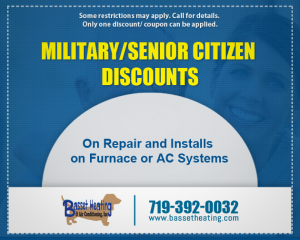 Here at Basset Heating & Air Conditioning Inc. you can get your heating and air systems checked out to see if they are working correctly or if they need to be repaired. If you need your heating system repaired, then contact us to get started. You can also get help with your cooling system if it's giving you any trouble. You want to make sure you get issues with heating and air systems taken care of as soon as possible. You don't want to wait too long because if you do then you're going to end up having to pay even more to get help. When you catch problems early, they are a lot cheaper to deal with so be sure you contact us at the first sign of trouble. 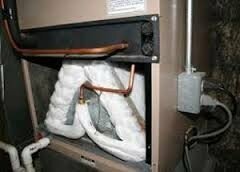 Prior to running a heating or air system, you should have it inspected. You want to make sure that things are going to run well for you before you have to use your home's heating and cooling systems. We recommend that you get yourself an inspection done on a regular basis just so you can know things are going to work well for you all year no matter when you need to use them. We don't want you to have a system fail on you because you didn't keep up with it, so contact us right away even if you don't notice issues quite yet. We here at Basset Heating & Air Conditioning Inc. offer heating and cooling Colorado Springs CO services. It's a good idea to work with us as soon as possible. We can make sure everything in your home is in good working order before you need to use your heater or air conditioner. If you need furnace repair Colorado Springs assistance, you should turn to Basset Heating & Air Conditioning Inc. We take pride in doing good work for our customers. If you have a furnace that needs to be repaired, you can learn more about why you should hire us below. It's a good idea to have your furnace looked at before you use it to heat your home. That way, you can find out if there are any issues with it that you'll need to deal with before you can use it. We recommend that you contact us a few weeks before you expect to use the heating system in your home so we can see if anything is wrong with it at the time. You don't want to wait until it's really cold outside to find out that the unit you have is not in good working order. 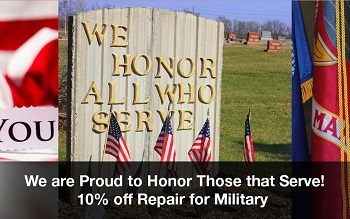 Contact us today and you'll be able to get your furnace repairs done quickly. We can also let you know if a furnace replacement is a better idea. Sometimes if you do the math, over time it makes more sense to get a replacement than to keep getting repairs done. There are a lot of great furnace options we can work on installing for you if that's the way you want to go with this. We leave it up to you and when you let us know what you need done we'll be sure to be there for you to do the job right. 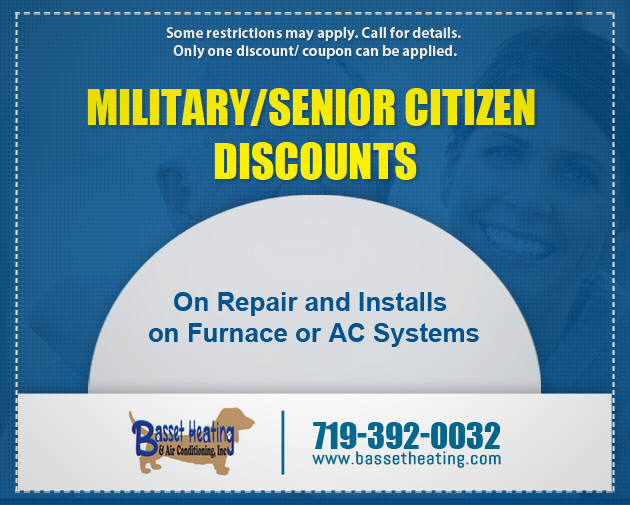 You now know more about the furnace repair Colorado Springs CO assistance we offer here at Basset Heating & Air Conditioning Inc. If you want to work with us, then contact us as soon as possible. We'll send someone out that can take care of your furnace issues in a quick manner. Call Basset Heating & Air Conditioning Inc. Today To Get Best HVAC Service in Colorado Springs, Fountain CO And Surrounding Areas. My husband and I had them install a new air cooling unit in our home last summer and we were very pleased with the entire process. THE RESULTS! Clinton, the tech, arrived with a smile on his face and was eager to start the job. He commenced the work immediately! He was extremely personable. Colorado Springs, CO Just want to let you know that Clinton left our home a few minutes ago. He was such a pleasure having in our home today. He is very professional, truly enjoys what he is doing, and does a great job! Why does my AC system freeze up?